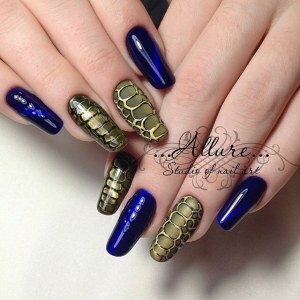 Reptile nail-art with green "cat eye" effect. 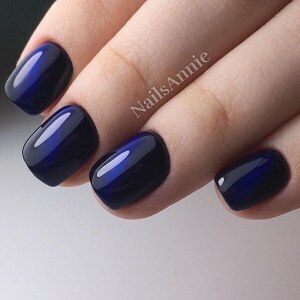 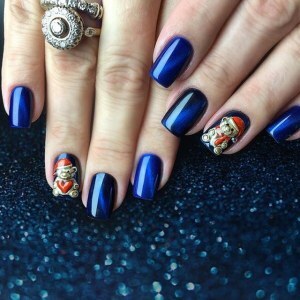 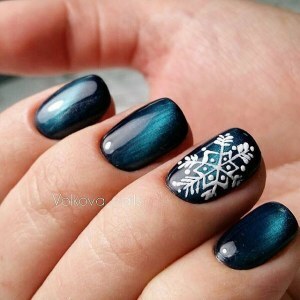 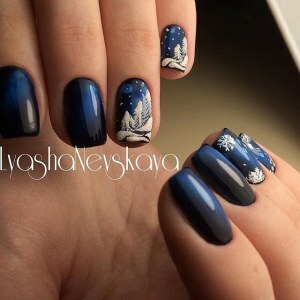 Blue short nails with "cat eye" effect. 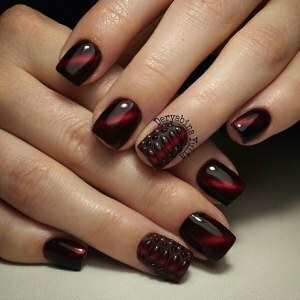 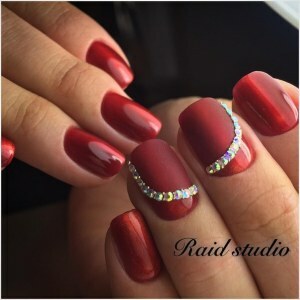 Gel polish with "cat eye" effect, glossy coating, crystals and microbeads.